A disputation is an academic debate with fixed rules. Both in oral and written form it was a characteristic feature of university life of the Middle Ages and the Early Modern Age. As genre and interaction model, it had an impact even outside the universities. 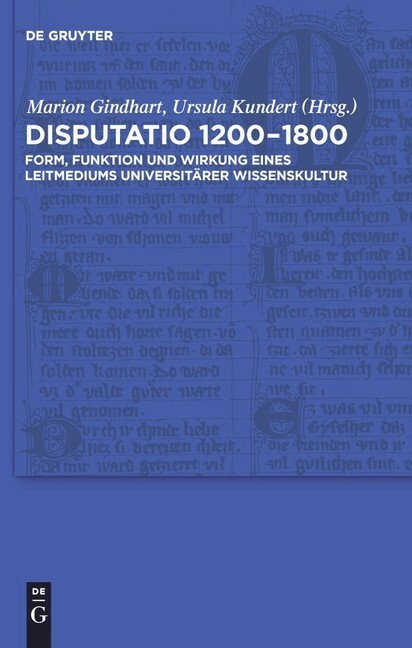 The articles in this book illuminate different aspects of the disputation in the period between 1200 and 1800. 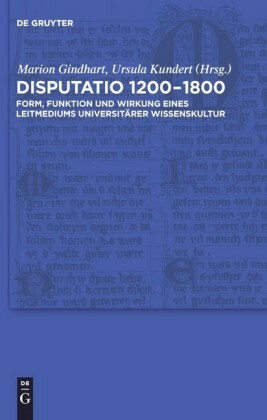 This book examines the developmental lines and features of the genre, its knowledge-conveying, social and denominational-political functions as well as its relationship to other media: to the German dialogue- and narrative literature of the Middle Ages, academic humorous speeches, Latin textbooks or German-French disputes of the Early Modern Age. Marion Gindhart , Johannes Gutenberg-Universität Mainz; Ursula Kundert , Christian-Albrechts-Universität zu Kiel.